As discussed in my previous motorsport article, the physical demands faced by racing drivers in the various series around the world are far greater and cover a much broader spectrum of physical and performance capacities than many would consider. Over the past 15-20 years the physical preparation of racing drivers has become much more important to success in the sport. Drivers have seen greater benefit and the result is that both Sport Science and Strength & Conditioning have taken a greater role in the support team and preparation of the drivers. When developing world class performance in racing driver, it’s a method of building from the ground up: mobility and movement quality, base strength and subsequent power, and finally muscular and cardiovascular endurance. While ultimately it’s the drivers speed in the car and race results that they are judged on, maximising their physical performance only aids to help them perform. It also helps to free up cognitive capacity by decreasing effort, allowing them to focus on other areas of race performance such as technical and tactical. While the physiological and performance characteristics we are looking to develop are broad, for this article let's look at developing a drivers base strength and strength endurance, since these are foundations on which we can layer the other physical capabilities. When working with racing drivers and looking to develop these strength qualities, the coach is going to need to be adaptable as the primary off-season period relatively short. In F1, for example, it’s usually only 8-12 weeks and during this period (as well as in-season) travel plans and driver location can change frequently and with very short notice. Establishing a base level of strength for drivers is crucial as it lowers the relative intensity of the submaximal contractions that they perform in the car. However, the coach needs to be mindful of minimising the amount of lean muscle gain both due to the cramped conditions and car plus driver combined weight. To give some context on how tight the cockpits are, to get into and out of the car the driver needs to remove the steering wheel in order to get their legs and knees in. It requires another individual to fasten their seatbelts as there isn’t enough room to be able to do it themselves. During most circumstances, they will also needs to remove the headrest and support in order get in or out. 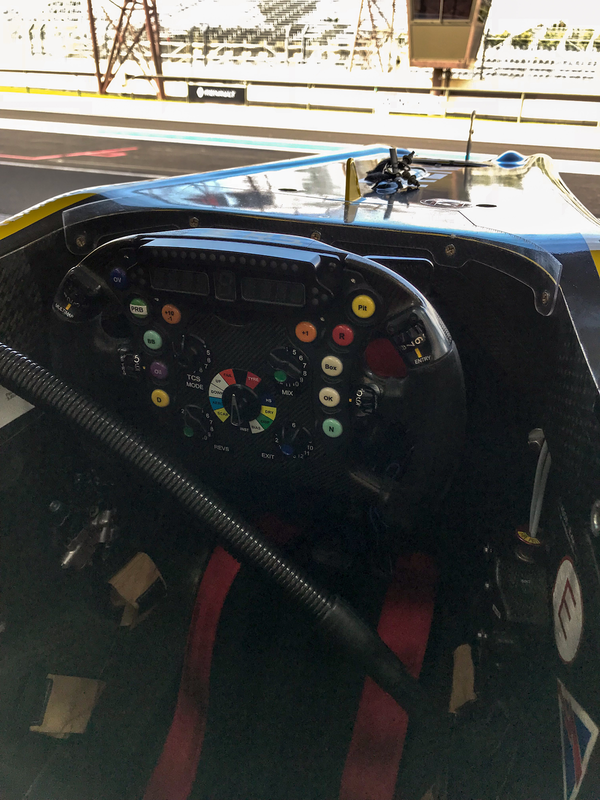 Top: Image showing the limited space in a F1 cockpit. Left: Image of a driver having to forcefully push himself out of F1 cockpit. A second key factor for the coach to consider is the need to keep the drivers weight to a minimum. The rationale behind this being that they want every car/driver combination to come in dead on the minimum weight when weighed, this is due to every extra kilogram of weight costing time over each lap. The lower the driver weight the more freedom the engineers have to add ballast to the car within the combined minimum weight, allowing them to change the balance of the car for maximum performance. In most scenarios the ability to have ballast and move it around takes priority over the driver being slightly heavier due to the large positive impact on performance. 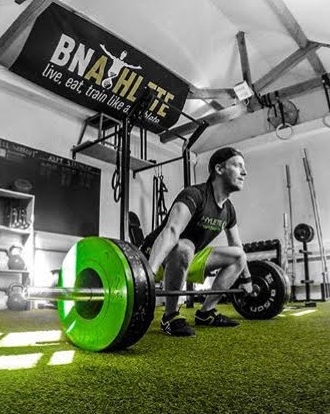 The baseline strength testing focuses on the squat and deadlift along with single leg strength, primarily due to the triple extension demands of braking events. For me, the 3 rep max tests are always best when you look at comparing the balance between accuracy and the risk-reward ratio of an athlete lifting max loads (Reynolds et al, 2006). The Push sensor provides an invaluable resource here for extra validation of whether a driver is truly at their 3RM based on velocities, in addition to getting some power values for those movements as well. When it comes to developing the strength required for braking I find the most effective exercises for developing this are deadlift variations as it also forces the drivers to create and maintain tension through the core which they need while braking and cornering in the car. A good way to start looking at these are to begin with laying the foundations through barbell or trap bar deadlifts depending on the training age of the driver and their proficiency. When looking to build base strength I always work with 5 sets of 5 reps at 70-80% of their 1RM from testing. One of the additional things to think about at this stage is to try and minimise lean muscle gain in order to keep the drivers weight down as much as possible. Shorter rest periods of less than 60 seconds in between sets can have some benefit in achieving this (Grgic et al., 2017). When looking to then layer strength endurance I like to build in more single leg work in the form of split stance deadlifts using the trap bar. Here I will use 3-4 sets of 12-15 reps. The rationale behind building in more single leg work at this stage is that the demands in the car require drivers to repeatedly generate force through single legs. When transitioning into power at the end in terms of deadlift variations that I like to use, my preference is to build in rack pulls or deadlifts from blocks. These represent the closest position in terms of hip and knee angle to when the drivers are in the car and need to generate the largest explosive force. When building power I always focus on using 80-90% of their 1RM and build the power work around 4-5 sets of 3 reps. Another option that can be effective at this stage is using Russian step ups with heavy dumbbells or a barbell for building explosive strength through triple extension. If the driver has a young training age too then we can often expect to see some gains in strength without any gain in lean muscle through improved efficiency of the neuromuscular system and more efficient recruitment of the muscle fibres (Jones et al., 1989). One of the more unique aspects that a driver needs to train is very high levels of neck strength and endurance. Essential to performing in the car, drivers have repeated loads of up to 40kg on the neck and head during every braking event or corner (Watkins, 2006). While this is an element that is best developed with time in the car due to the unique manner in which the force is applied to the driver, there are methods in the gym that can help support developing this trait. Using cable machines attached to head harnesses or old racing helmets can be useful for building strength and allowing the neck muscles to be worked in multiple angles. Building in higher rep work with resistance bands can build the strength endurance element needed too. Between braking and cornering the driver will face between 700 - 900 events where there is a force applied on the neck in multiple directions, meaning the driver needs to cope with 20,000-30,000kg of total volume of neck load over the course of a race. To maximise the results here there should be a blend of both isometric holds, concentric and eccentric contractions. The isometric contractions here are one of the key stimulus and things to develop during the training. The reasons for this being that the driver is having to resist forces on the head and neck through isometric contractions in the car. 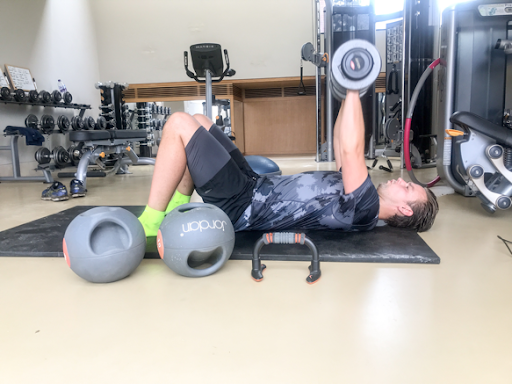 Therefore a key over the course of the off season is building up isometric holds and increasing the resistance that the driver has to resist for the holds. I would start with building up to 30 second holds and then up to 60 seconds. From there I would then look to match the isometric holds to the circuits and time the driver needs to resist them, this can be done with multiple bands from different directions while watching on board videos. At this stage the isometric holds can be anywhere from 5-10 seconds at a time but the aim is to get them to complete this for increasing lengths of time. Hitting the neck from multiple directions is fundamental at this stage too as when in the car the forces the driver has to resist on the neck will hit them from all angles and needs to be replicated in training. This is similar to the training you would expect to see in pilots that are flying fast attack jets for the military. Training the neck 2-3 times per week provides a strong base from which to build both strength and endurance (Alricsson et al, 2004). Once the driver gets into the season the total volume of neck work may reduce down to 1-2 times a week at the end of training sessions. The reasoning behind is time in the car and throughout the course of the season will provide this, and the regularity with which they are in the car means that they get a large stimulus on a consistent basis. After a race I like to give drivers a day or two for the neck to recover. While there is an element of upper body strength required, strength endurance tends to be a greater requirement for the shoulders and grip at the elite levels such as Formula One, where the cars tend to have power steering. This means that in Formula one the drivers get mechanical assistance for the steering which reduces the amount of force needed to turn the wheel. It will however still be heavier and harder to turn the wheel than a normal road car due to the downforce and the large tyres. To maximise the benefit and adaptation from these I always look for exercises that require lots of core involvement at the same time. The main reason for this being it helps to build anti-lateral flexion and anti-rotation strength and endurance through the core. (Raschner et al, 2013). When looking to build the strength to compete in motorsport, key areas to look at are the neck, core, and triple extension of the lower limb. Focus of building from the deadlift and then moving into more single leg worn with strength endurance and power. Upper body work can be built into the sessions as accessory work after the main lifts focussing on strength or power. However, keep in mind that you need to keep lean muscle gain to a minimum. Understanding the demands of the sport and athletes you work with will help drive the capacities and adaptations you look to achieve. Alricsson M, Harms-Ringdahl K, Larsson B, Linder J, Werner S. Neck muscle strength and endurance in fighter pilots: effects of a supervised training program. Aviat Space Environ Med 2004; 75: 23– 8. Alex is a sport scientist and strength coach based in the United Kingdom. "For as long as I can remember I have been involved in sport, either as an athlete competing or involved in close proximity. In particular I have spent a large portion of my life involved with motorsport both professionally and as a fan. This ranges from karting against some of the worlds best drivers to providing strength and conditioning and event support to drivers from karting to Formula One." 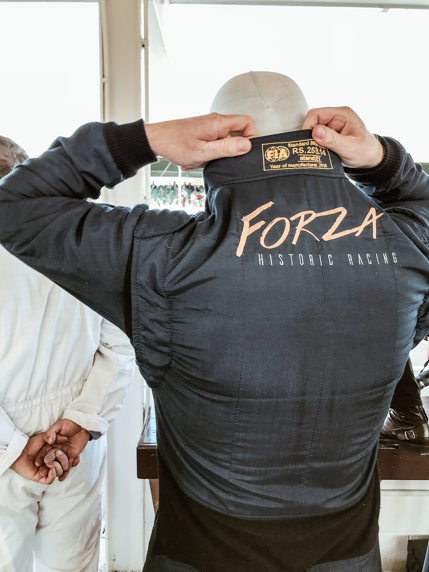 "My passion and understanding of the sport led me to form the training company where the sole aim is to improve the performance of racing drivers helping them to unlock their full potential. To improve the standard of training for drivers and those involved in the sport."